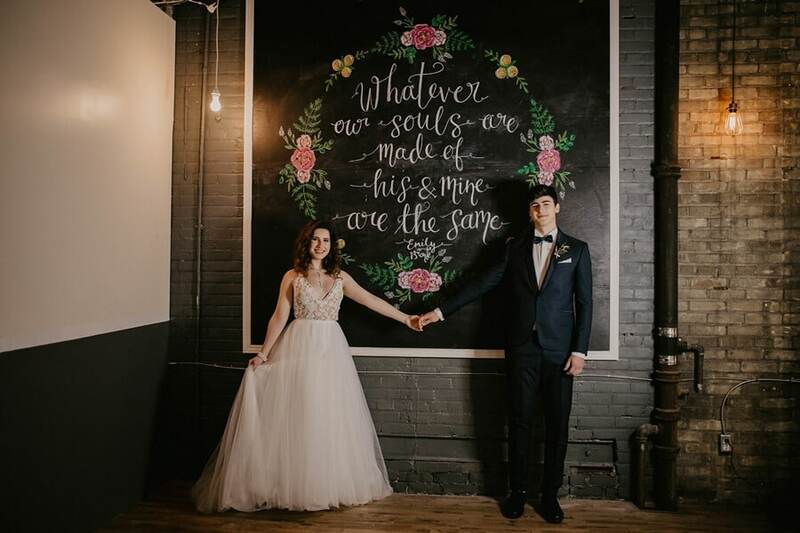 There is nothing that brings a wedding shoot to life more than a real-life couple like Jacqualine and Daniel! 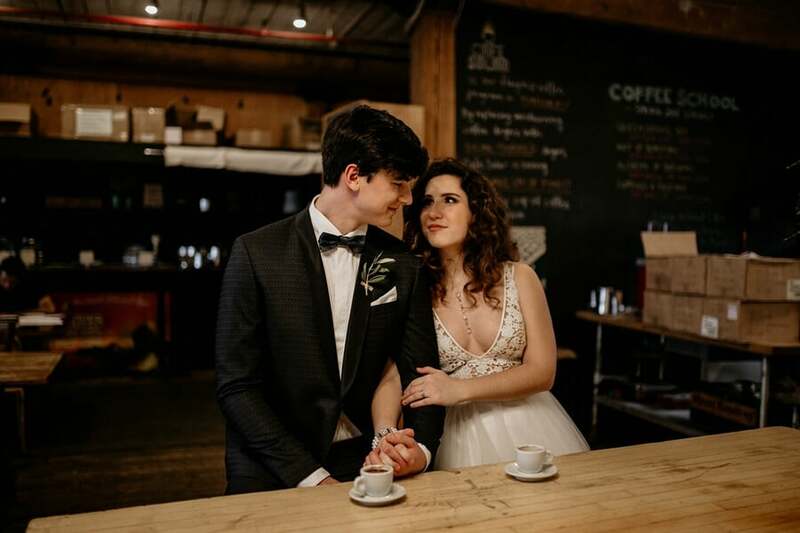 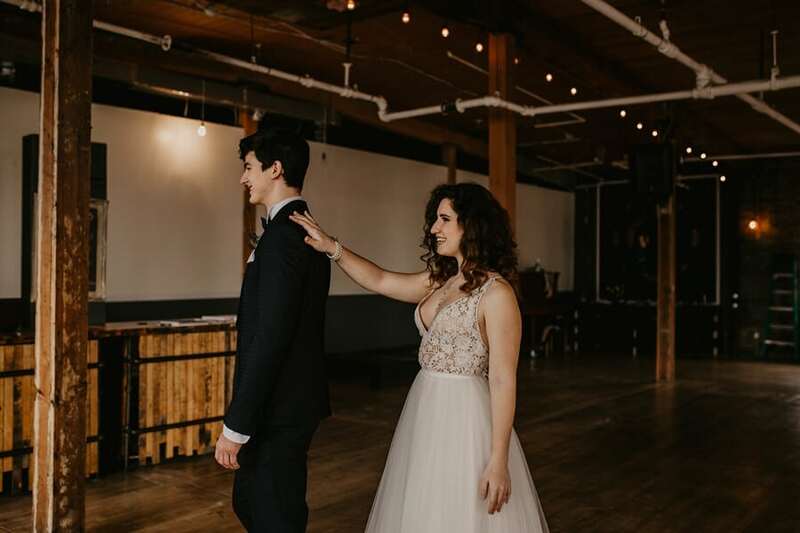 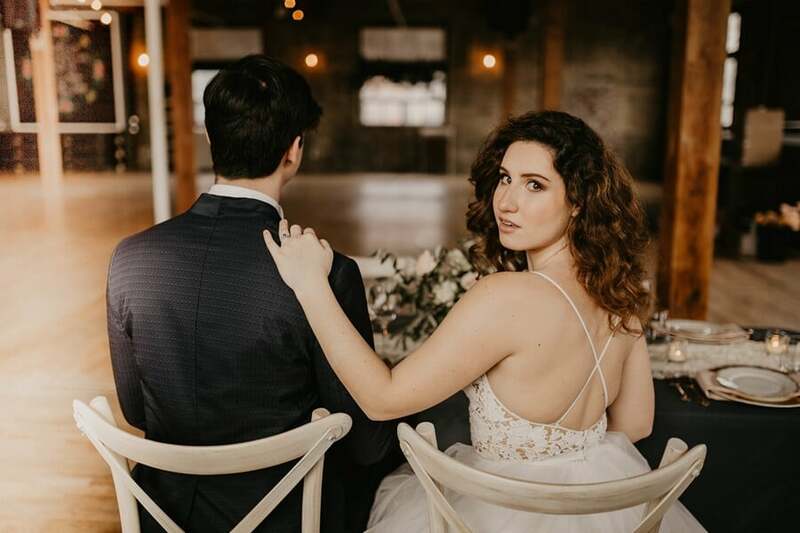 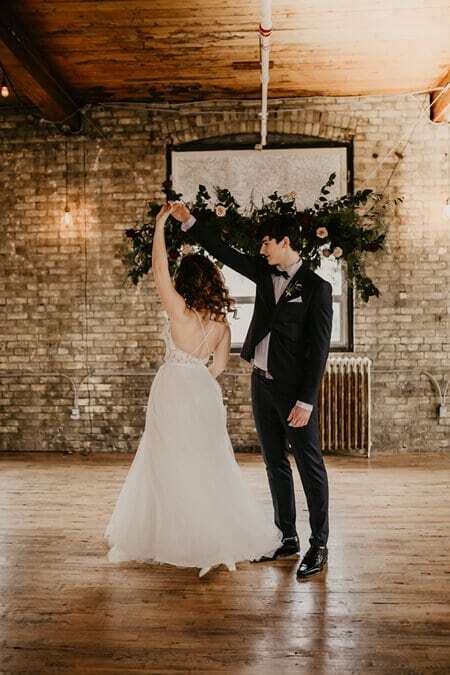 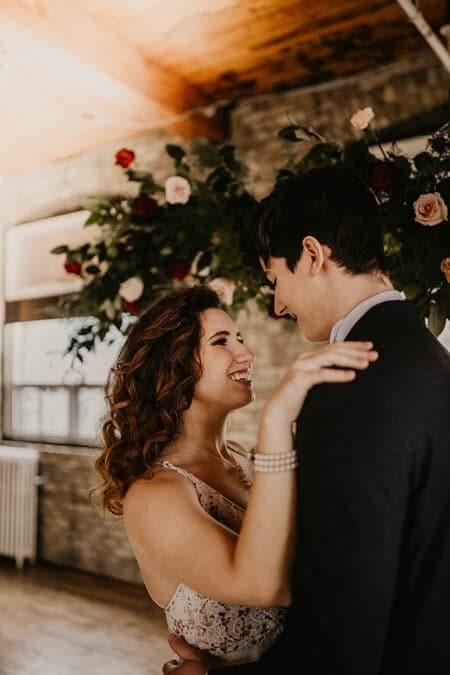 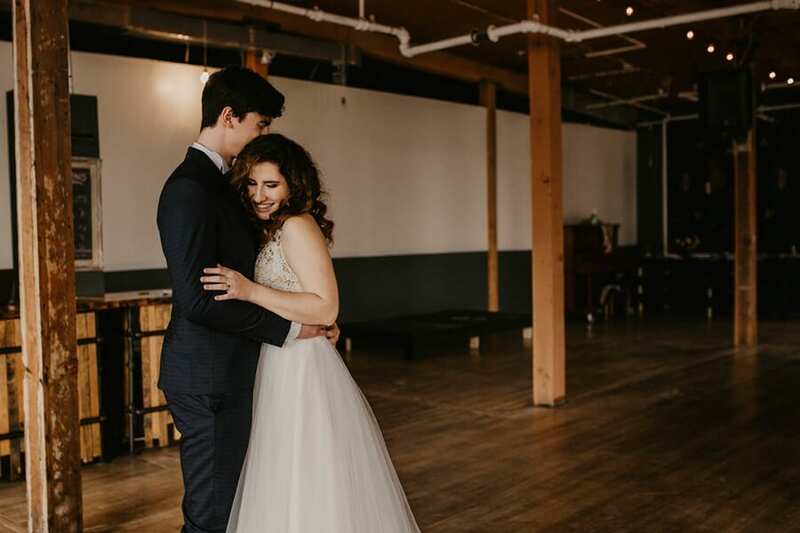 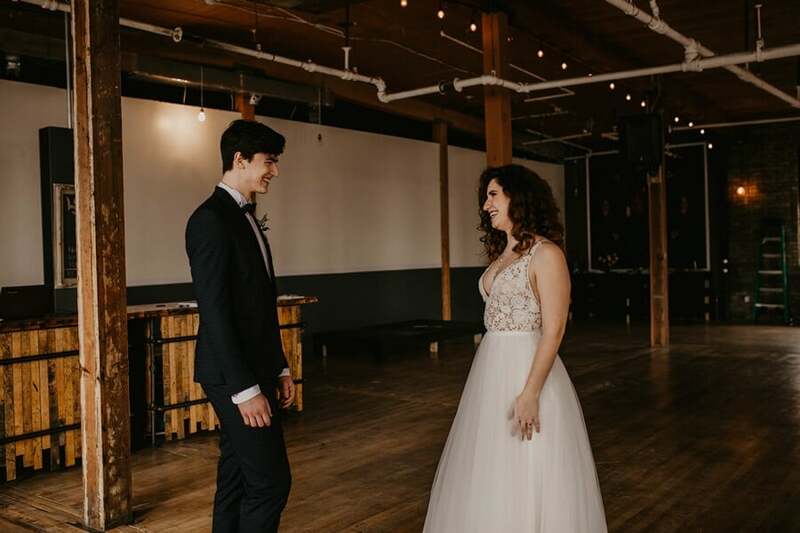 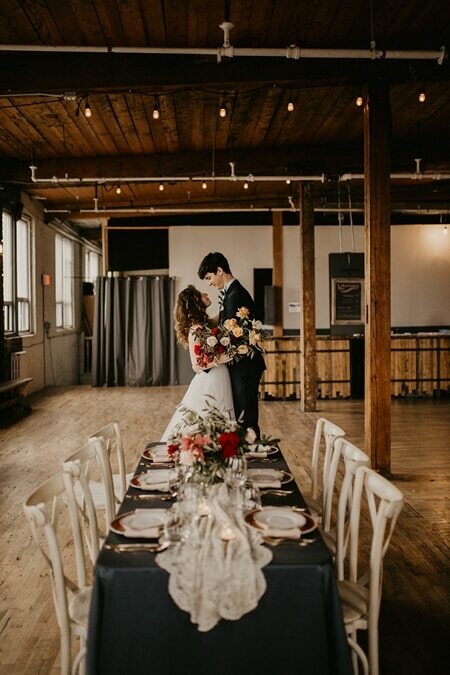 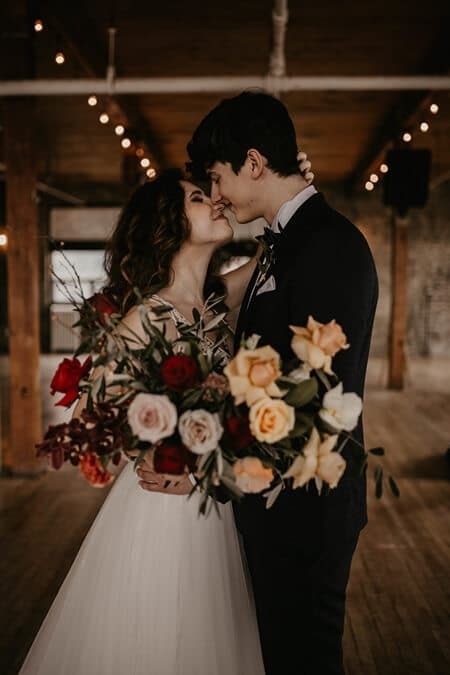 Set against the urban brick backdrop of the recently restored The Jam Factory in Toronto, this playful yet modern-elegant shoot has a genuinely easy and romantic feel thanks to the real life love birds. 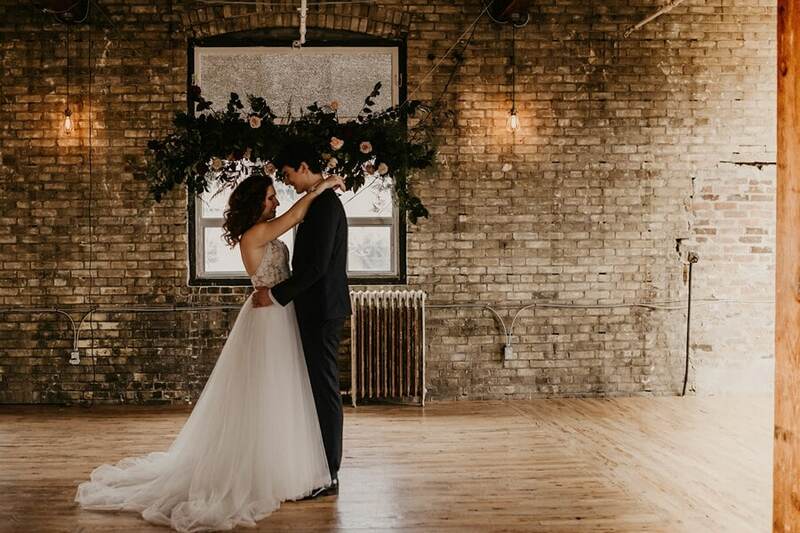 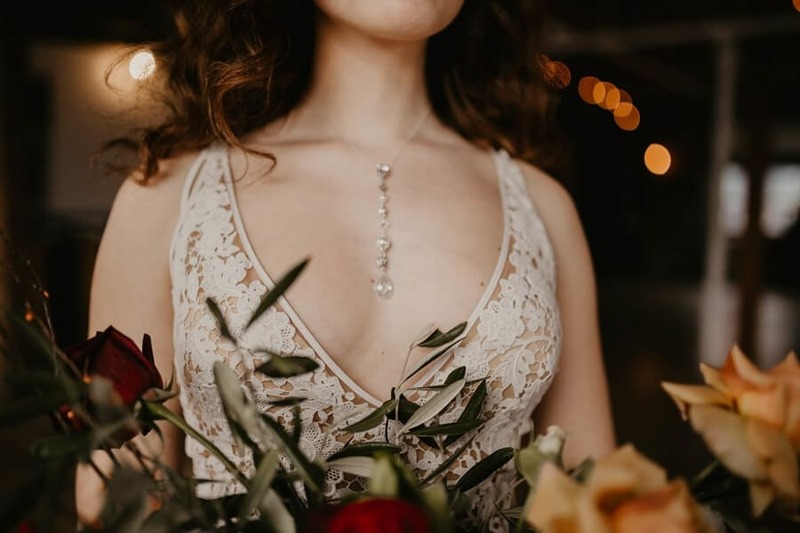 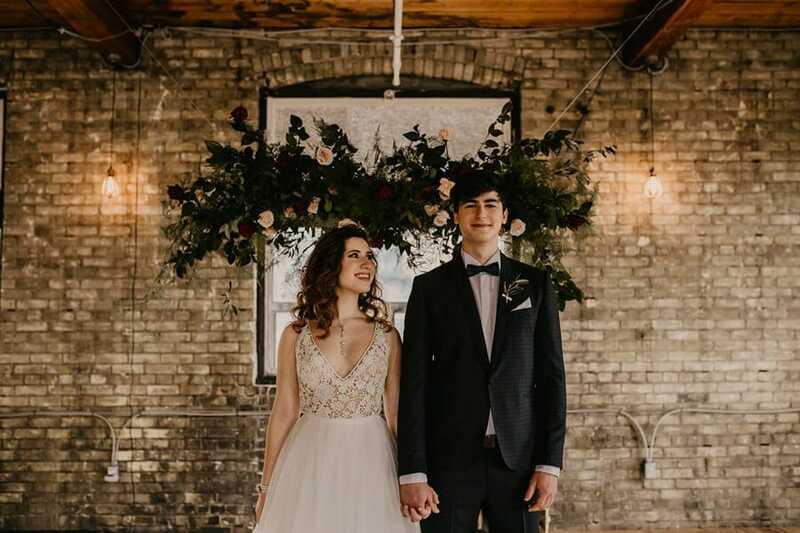 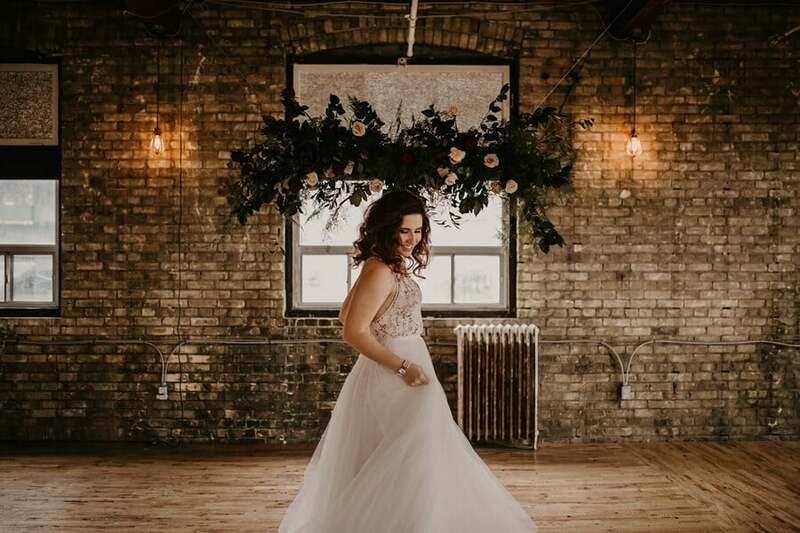 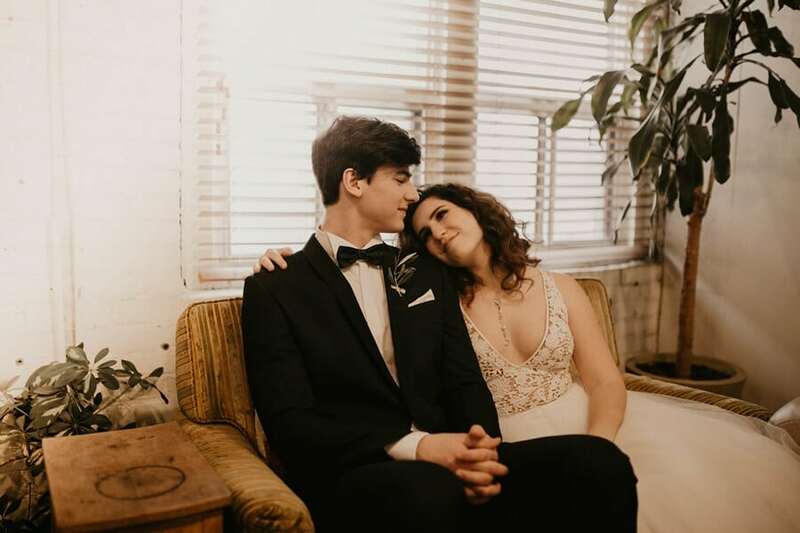 Planned by the creative minds at Open Sky Weddings and captured by the talented lens of Sarah May, you will feel inspired by this gorgeous gallery. 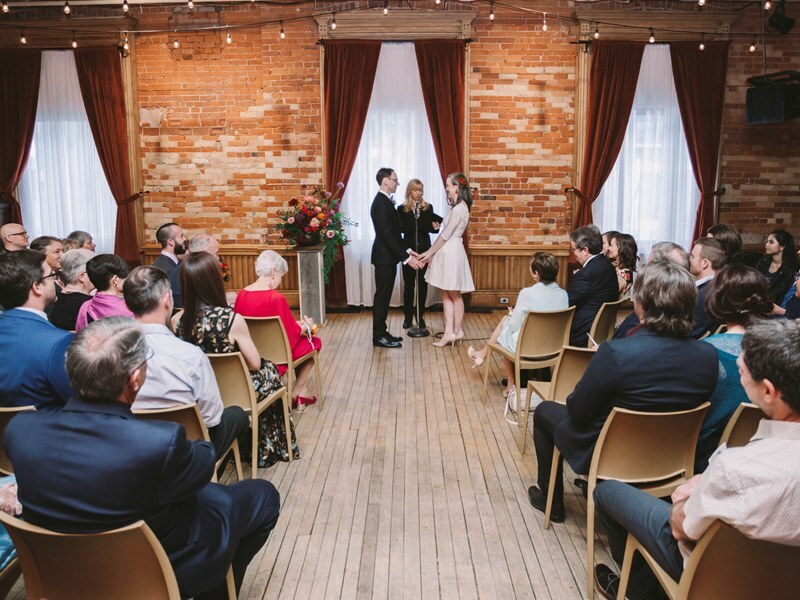 From Jacqualine: We are so grateful to this team on creating such a memorable experience. 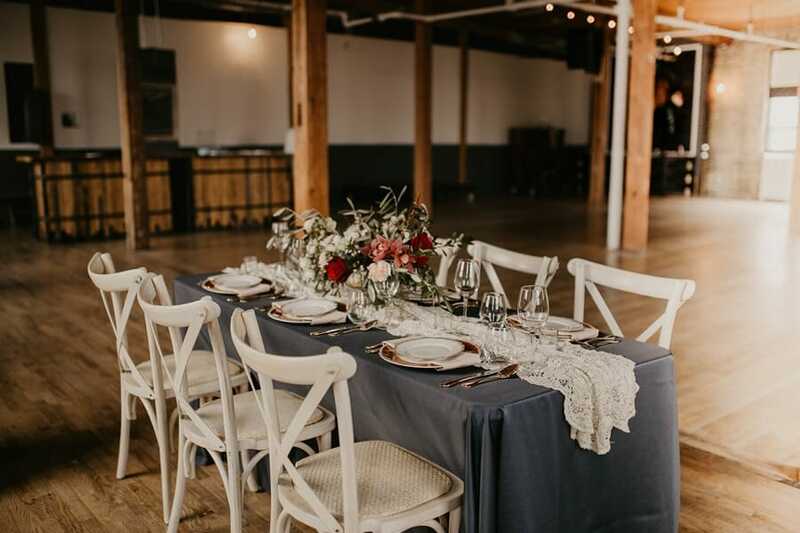 It was really incredible to see the space go from a blank slate of exposed bricks and beams to the finished photos, so full of life! 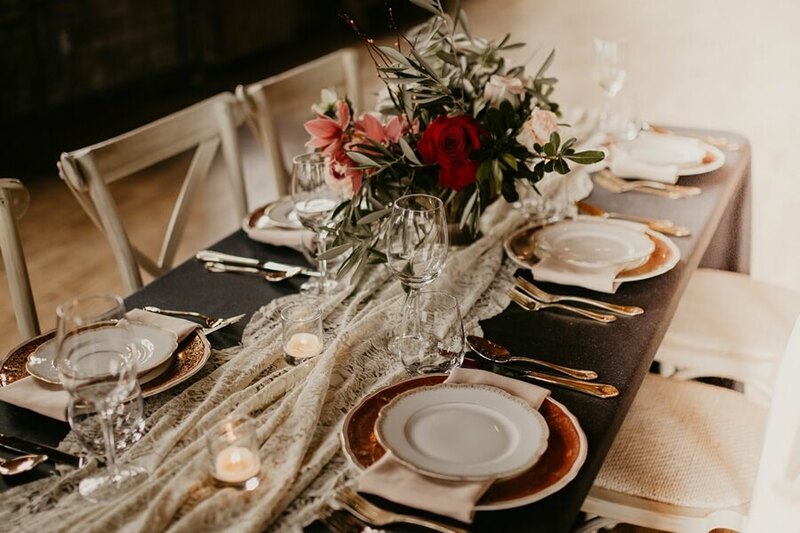 As each vendor added their expertise, the direction and style was very clear and cohesive. 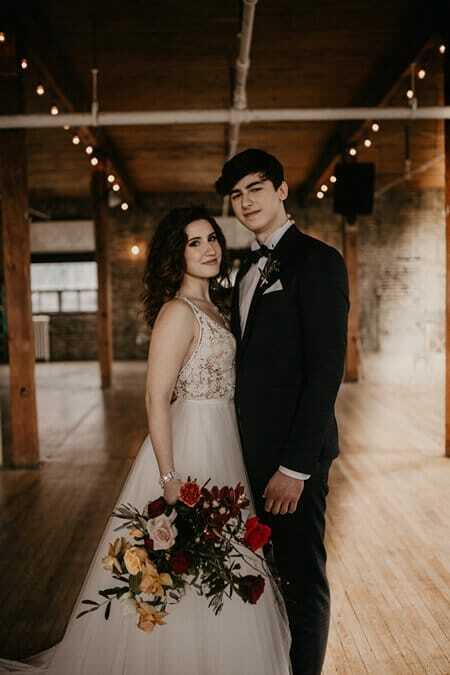 How dapper does the groom look in that Capo Salerno tux? 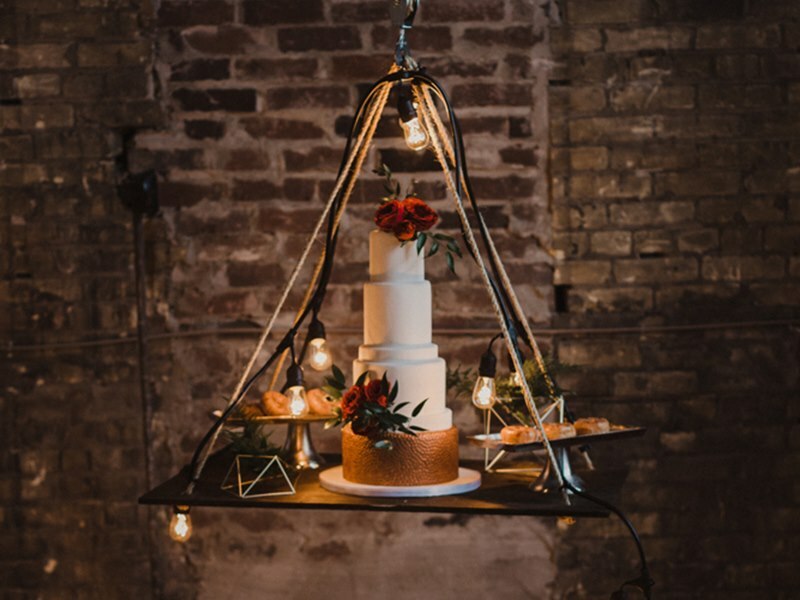 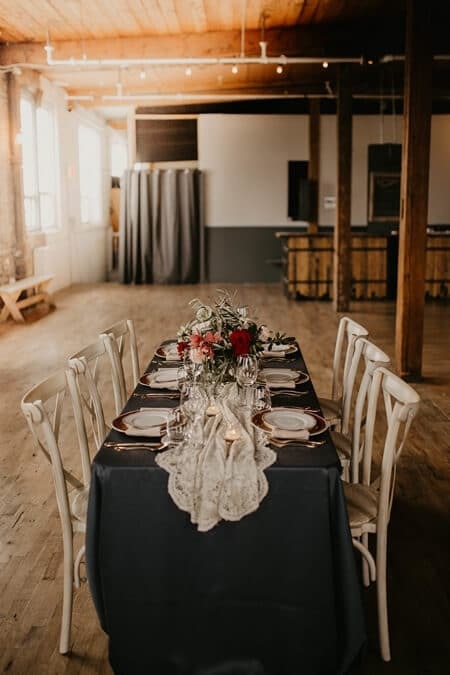 A whimsical vibe matched perfectly with the industrial-meets-rustic ambiance of the venue, creating a sweet-yet-stylish blend. 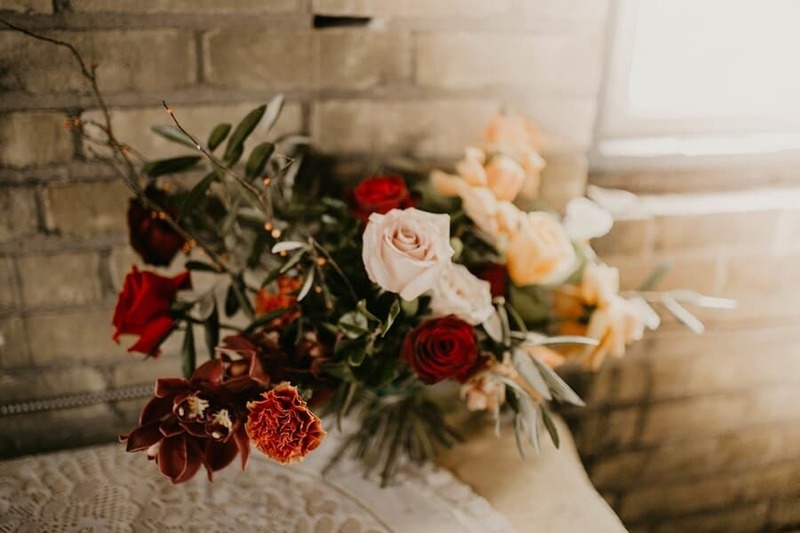 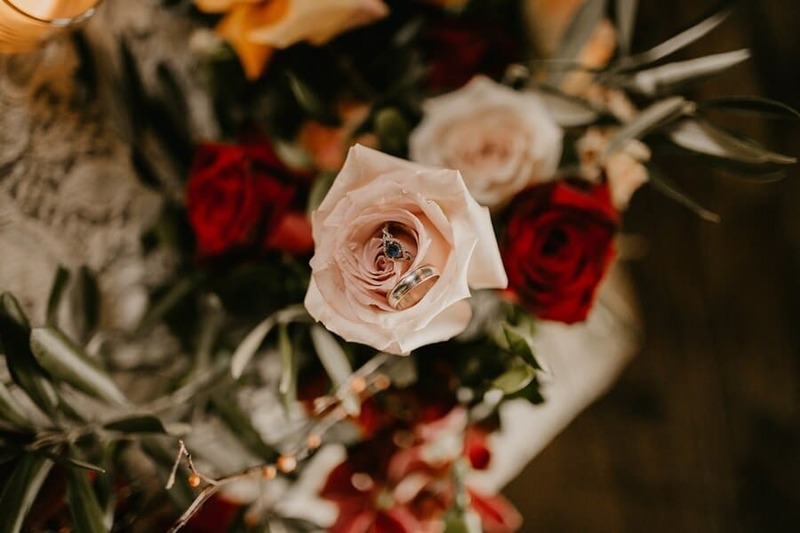 Brightly coloured roses and rich greenery featured in the bouquet and floral decor, designed by May Flowers, are a stunning contrast to the wooden beams, old radiators and pipes of the original building. 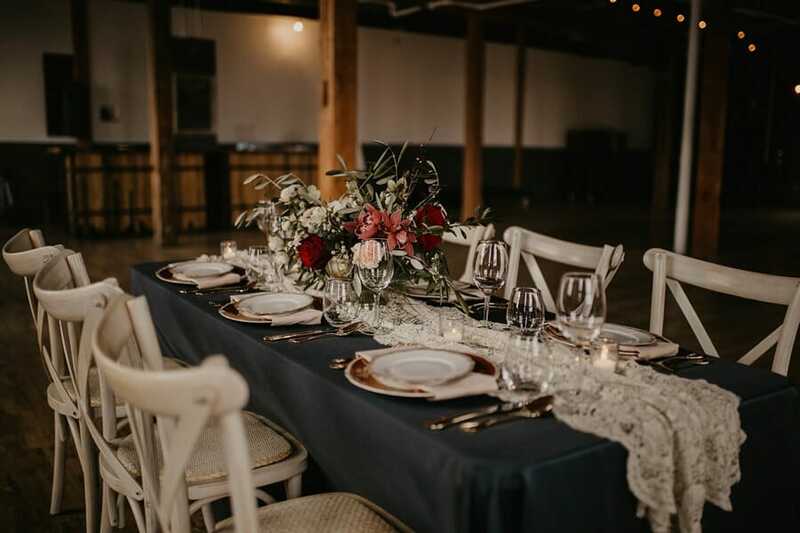 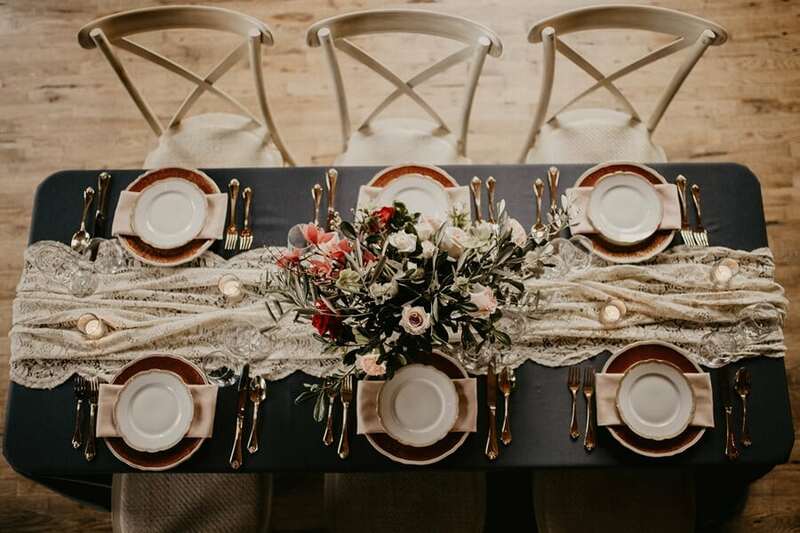 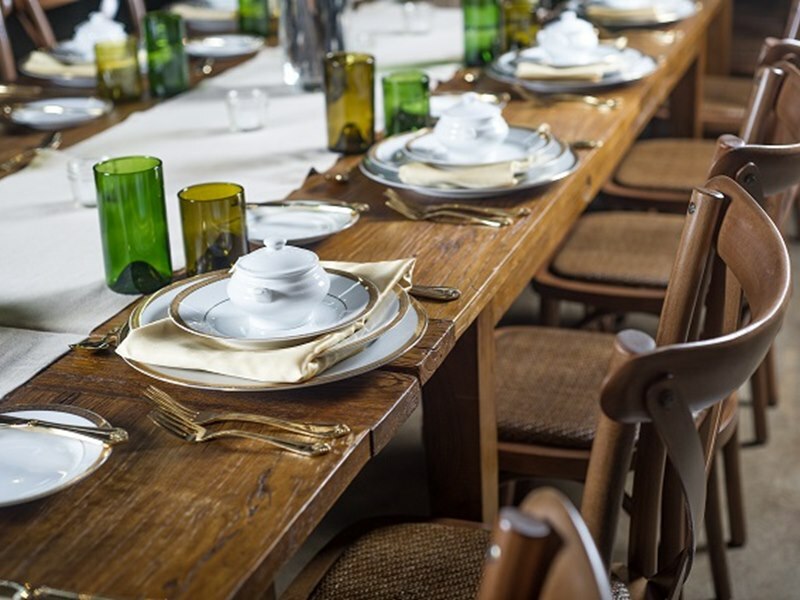 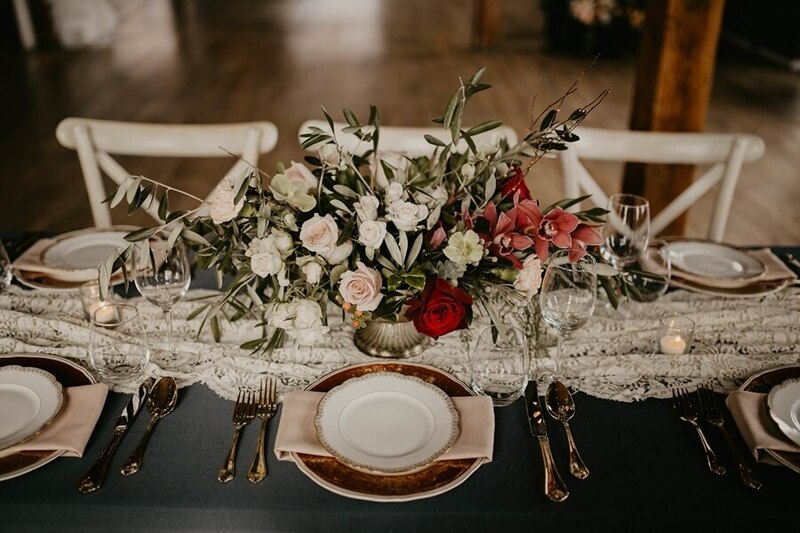 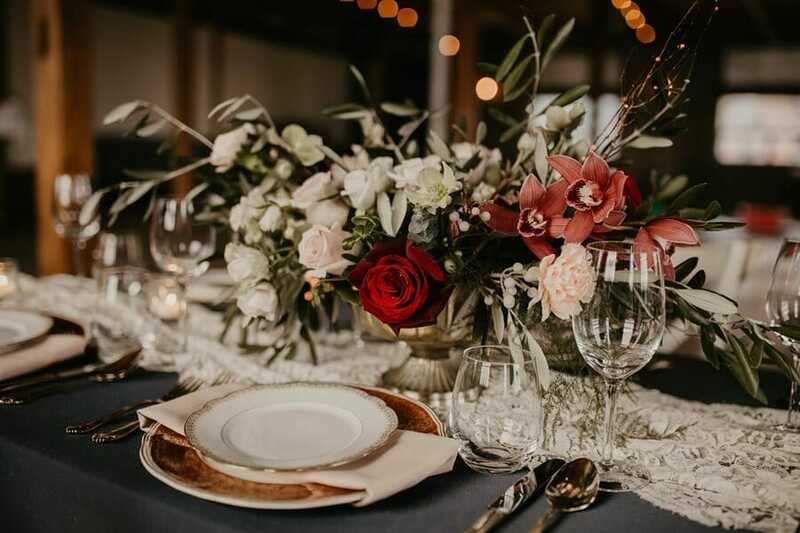 The team loved the charm of the dinner table set with beautiful vintage plates, antique lace, and elegant gold details; it infused the perfect ambiance. 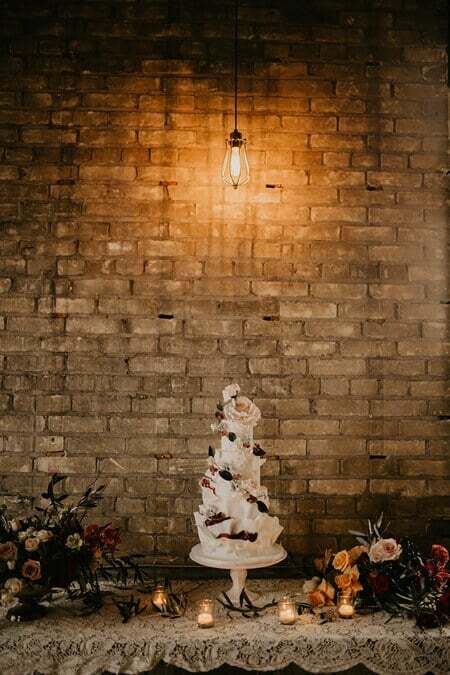 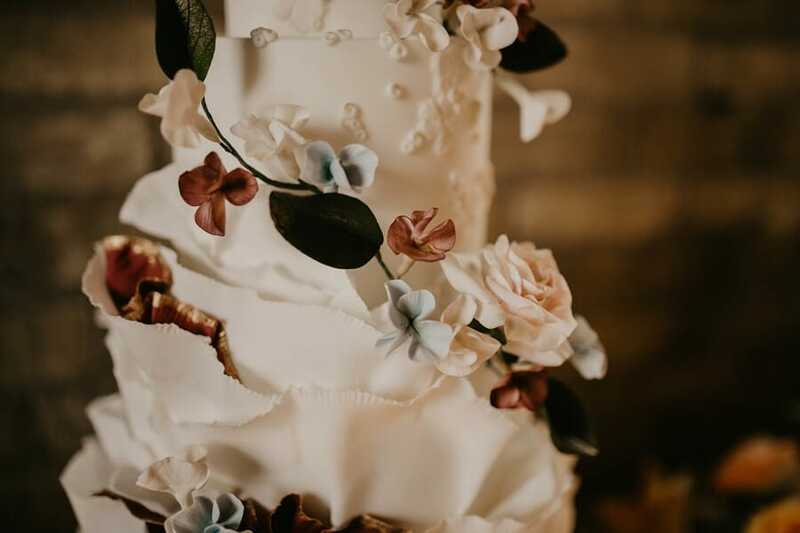 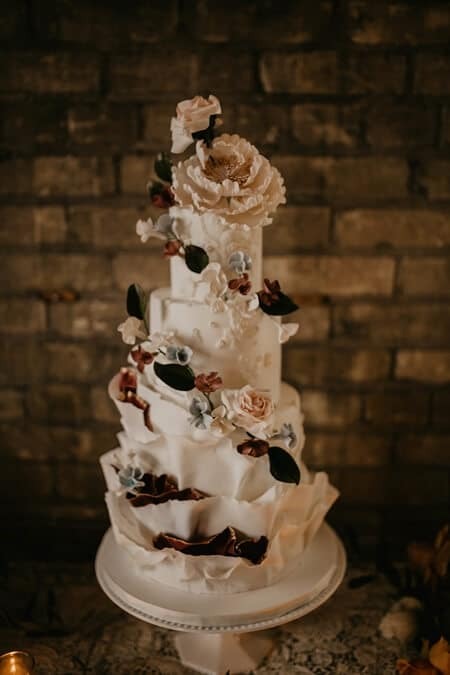 The statuesque floral cake from Jenla Cake was the sweetest way to cap off such a delightful shoot.